His first Geneva Motor Show in 1983 proved to be a springboard for an automotive sales career surrounded by prestigious brands. Since 1984, he has specialised in the sale of Ferraris. Among other hobbies, Gino is a ‘gentleman driver’ in his free time and in 2006 - backed by the Modena Cars Racing team - he won the Ferrari Challenge Pirelli Trophy. Gino has a wealth of experience in the automotive industry and he used this to found Modena Cars in 2004, helped by his loyal, dedicated team of professionals and their shared love of Italian automotive brands. Verena has joined Modena Cars in May 2011. 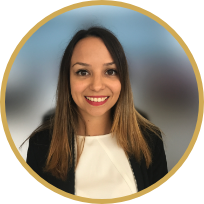 Her extensive experience in the organisation and the handling of events that she gained in numerous luxury hotels worldwide, facilitate her new role in charge of the Marketing department of Modena Cars. After successfully finishing his Master degree, Florent had been working as a Sales executive since 2011 for of a leading luxury car brand in Geneva before joining the Modena Cars team in February 2014; since his youngest age, it has always been his dream to work one day for two of the most prestigious Italian brands, Ferrari and Maserati. Holding a BTS diploma, Jérémie has his first experience in the automotive world at Peugeot and stayed there for 10 years before joining Modena cars. He is now an receptionist of the workshop at Modena Cars. Sylvain is a qualified automotive mechanic and electrician, and learned how to manage a workshop at BMW. His wide experience, gained at several premium brands such as Bentley, Rolls-Royce and Aston Martin makes him be an important asset to the Service Team of Modena Cars since March 2010. After an apprenticeship "spared parts seller" John begins his career at Fiat. Since about 24 years, he’s working for the biggest car brand in Geneva. John is now working in the spared parts section. A trained mechanic, Carlo is responsible for maintaining all vehicles entrusted to Modena Cars. He joined the Modena Cars team when the garage first opened, having previously spent several years working for Ferrari. 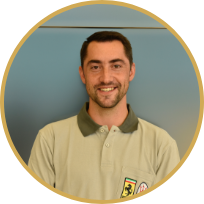 Alvaro has many years experience as a workshop assistant, having worked in a number of famous garages in Geneva before joining Modena Cars in 2007. What Alvaro does not know about Ferrari, Bentleys, Rolls-Royces, Maseratis and other luxury vehicles is not worth knowing. Holder of a CAP, Marc worked several years at Mercedes where he gained experience in luxury cars. He has joined Modena Cars team since June 2012..
Captivated since his childhood by cars, Danny decides to pursue a career in mechanics when he was 16 years old. In 2016, he successfully passed his diploma, and was named « Best Geneva Apprentice ». Now, he is studying for the «Brevet Fédéral » as Diagnostican, and in parallel, he started his first job in Modena Cars in July 2016. It was a dream for him to work with Ferrari and Maserati. Pierre started out as a mechanic before going on to become a luxury car dealer in the Geneva area. With a passion for cars and more than twenty years’ experience, Pierre works tirelessly to ensure that his customers’ needs are met. Livia is originally from South of Italie, where she studied at university. With her ease of languages, she decided to work as translator for several big companies in Italy and Switzerland. The Italian touch adds some spice to the Modena Cars Team where she is working as Sales assistant for Ferrari, Maserati and the Sales Team. Holder of a commercial maturity, Soraya has worked for the last 8 years as accountant for a renowned company in the cosmetic, research and anti-aging development field. She joined Modena Cars in July 2013 and is in charge of the accounting department. After accountancy studies and 8 years of experience in the automotive field in Switzerland, Caroline joins Modena Cars team as accountant’s assistant. After graduating her Master in International Communications, Mélanie started her professional career in media communications for Audi. She joined Modena Cars in June 2018 as a Communication & Events Officer. After his CFC mechanic Diploma, Dorian makes an apprenticeship at Mercedes where he fathoms his knowledge successfully. He joins Modena Cars in March 2010. Since graduated, Nicolas decides to work in the luxury automobile world. After several years spent with brands like Mercedes, Rolls-Royce and Bentley, he joins Modena Cars in 2005 as Workshop Manager. He is also responsible for the technical assistance of the Ferrari Challenge, when the Modena Cars Racing Team is travelling on track. Frederic is a qualified spare parts sales manager and has enjoyed a long career working in various well-known garages around the local area. Frederic is the Workshop Receptionist. Originally from Poland, Tomasz is one of the long-serving members of staff who helped launch Modena Cars. He goes about his job of preparing and cleaning vehicles in the garage with great care and enthusiasm, and also contributes to the general running of the premises. Big fan of cars, Alexandre is gratuated in "spared parts seller". After a long experience in different famous dealerships in Geneva, a new challenge is launched. To work with these two beautiful italian brands was a dream ; it came true in February 2017, joinging the Modena Cars Team.Alexandre is working in the spared parts section.